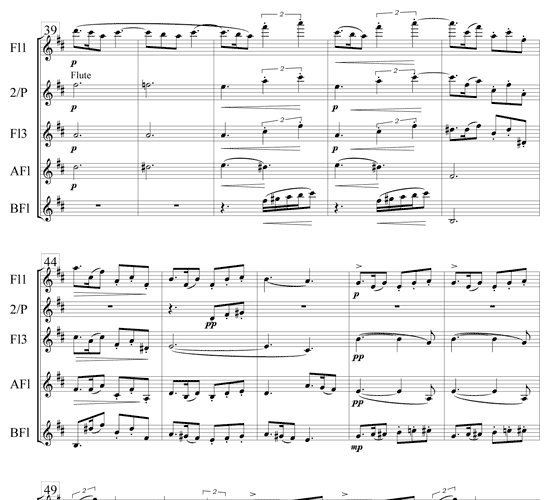 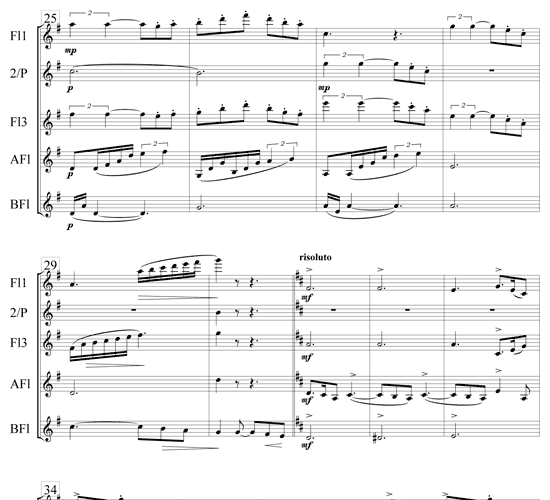 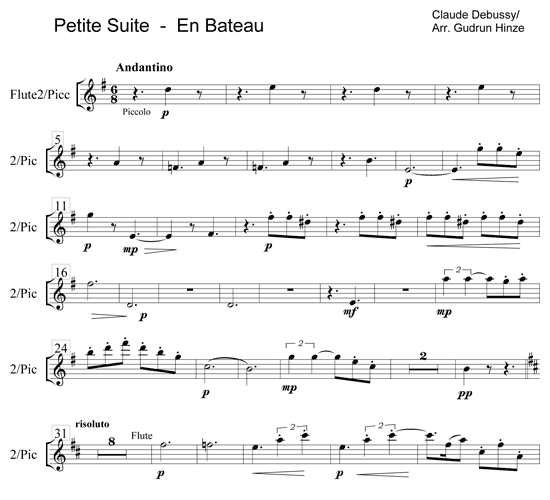 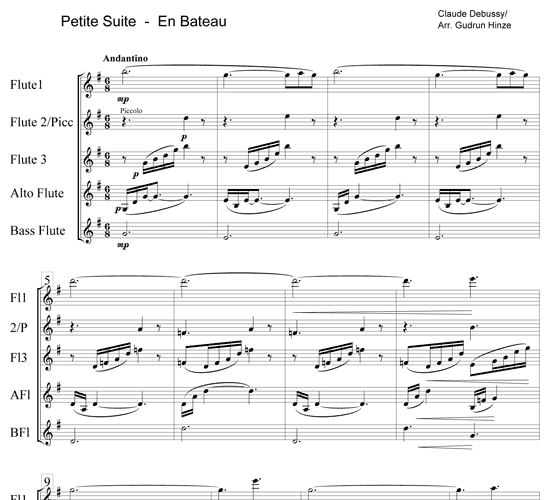 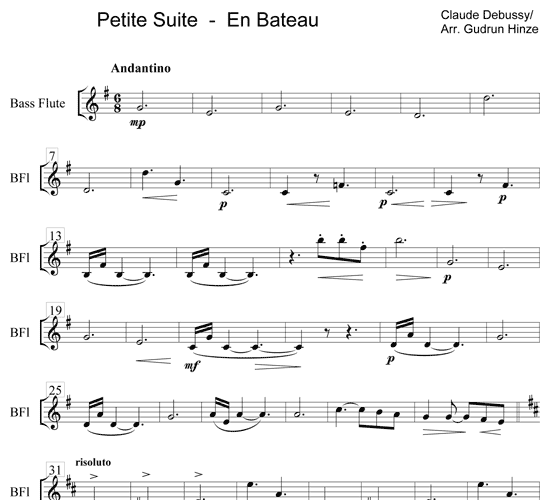 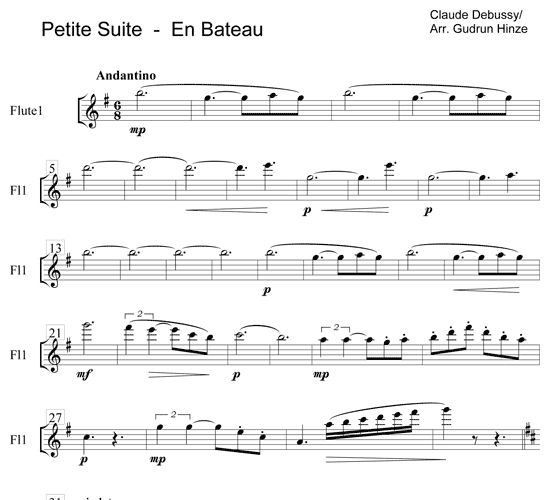 This is the first movement from “Petite Suite” by Debussy (1862-1918). 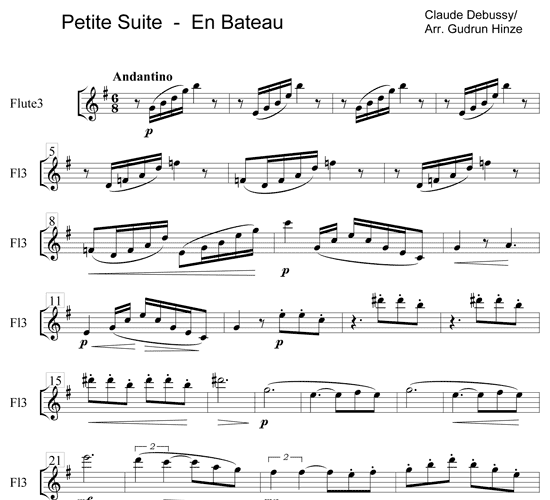 He composed it for 4 hands at the piano and participated in its first performance in 1889. 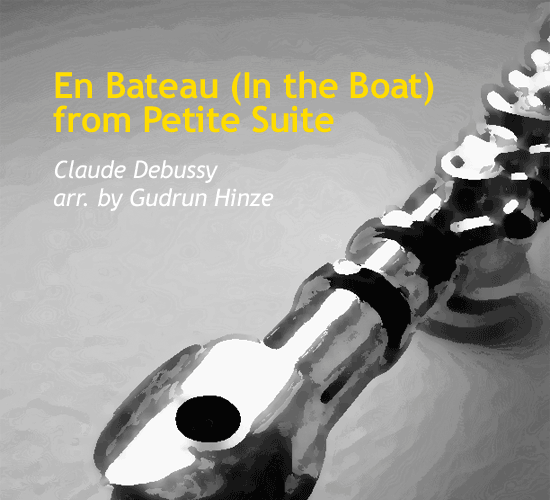 It is a charming soft Andantino, and very ably depicts a boat floating on a calm lake, with light reflections on the water. 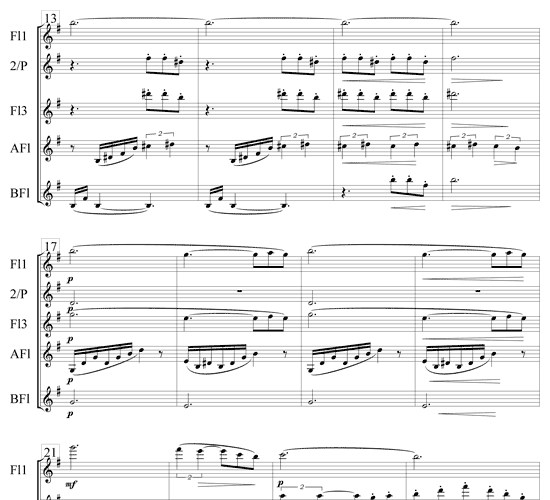 The silver color of the flutes’ sound will match perfectly that atmosphere. 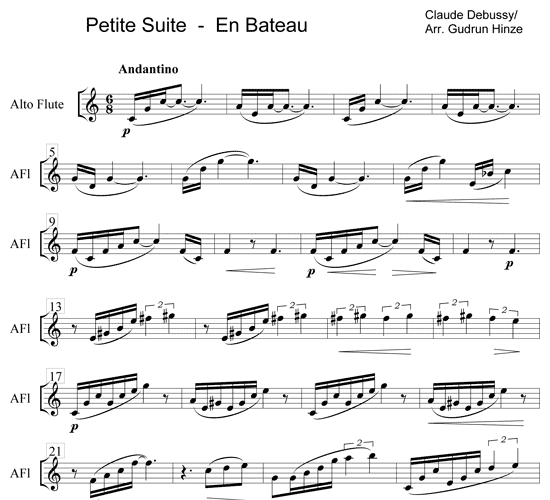 This arrangement is not too difficult to play, providing performers and listeners with a beautiful impressionistic scene.